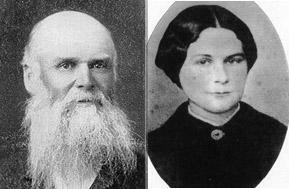 William and Eliza’s surviving children were 6 daughters – known images of all but Adelaide Ellen are shown below. 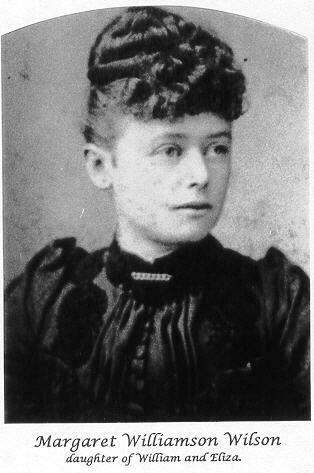 Their first child, a son named William Frederick (b.1857) died aged just 30 months. Thereafter the children were born – Margaret Williamson 1858, Elizabeth 1860, Ella Mitchell 1861, Jessie Williamson 1862, Frederick William Sorell 1864, Jane Turner 1866, Albertha Sydney Wilson 1868 (she died in 1883 aged 15), and Adelaide Ellen 1869. Sixth child, Frederick William Sorell Wilson went off to Western Australia in the 1890s, aged about 30, and thereafter he went missing – he was never located despite extensive search by the Authorities. With his loss the Wilson name for William Sorell’s family came to an end. The Group image is interesting – there is debate amongst today’s WSW family members about the identity of the sixth girl (the youngest looking one who sits at the lowest point), with the surprising suggestion she is perhaps a friend or a cousin. It seems most unlikely that a non family member would be included in a formal photograph of the daughters of the family. The other point of interest in this image is the hair styles – all short cropped – why would this be ?